Our Annual Parish Church Meeting with Holy Communion will be on Sunday 30th April at 9.30am. Croissants and cover will be served from 9.00am – please do come and enjoy. There will be no 11am service or Dotty Saints service that morning, the 8am Holy Communion service will happen as normal. 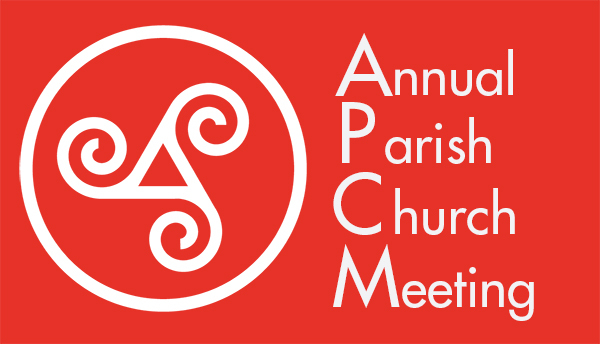 Our APCM is an important meeting here at All Saints, it gives us the opportunity to celebrate God’s activity amongst us over the last year and elect new members to our Parochial Church council (PCC) and our local Deanery Synod. We hold approximately nine PCC meetings (normally on a 2nd Monday evening of the month) annually and there are five PCC places available. Three of these PCC appoitnments would be for three years, the others for less. Those elected would normally have an interest in a significant area of church life and ministry or be prepared to do so. There are four Deanery places (three year term) with Deanery reps automatically being members of the PCC and with Deanery Synod meeting three times within the year. Please be aware that there is a PCC training event on the evening of the 3rd May and a PCC away-day at Scargill House on Saturday 6th May. 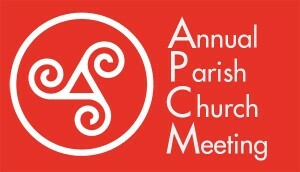 The first PCC meeting of the new council will be on Monday 8th May with a prompt 7.45pm start beginning with worship, prayer and spiritual reflection. Please speak to Patrick Bateman (chair) Jonathan Wright (vice chair) Nic Hodson (secretary) if you would like to know more about what is involved. After the APCM please stay on for the Tour De Yorkshire, and watch as the caravan and the race go past All Saints. The cyclist’s leave Bradford at 12.15pm with them anticipated to be in Ilkley at approximately 12.30pm. Please note there will be no road closures in the morning affecting coming to church, there will be rolling road closures 25 mins before it arrives. Further details to follow. This article was posted in Ministry, Special Services. Bookmark the permalink. Follow comments with the RSS feed for this post. Both comments and trackbacks are closed.